The two most meaningful things my publisher gave me were their faith in my book and a beautiful, inviting cover. (Your title and cover are your two best tickets to success.) They also gave me a small advance, a small PR allowance, and a few hundred copies of galleys for my publicists to send out. They later gave me more than 300 books for the same purpose, and they sent books out as well, mostly to their established connections. They also placed beautiful ads in some niche magazines. My publisher’s director of marketing and publicity scheduled me for a few radio interviews and got stories from the book placed in two magazines, one being Spirituality & Health. He also helped get the book reviewed at a few places, most importantly, Science of Mind and Publishers Weekly. I believe you need a publisher to be reviewed by Publishers Weekly. But with some journals, for example, ForeWord Reviews, you can now pay for a review, with the understanding that they’ll honestly say what they think. I was fortunate to receive wonderful reviews. I don’t know if that meant better sales, but I quote them on all my outreach communications and to my mother! Book awards: My publisher and I worked together to select places to compete for book awards (with them paying the entry fees), and my book won five national awards. I’m not sure if that has any effect on sales, but it’s nice to put on promotional materials . . . and Facebook posts, if you don’t mind sounding like a show-off! And if you plan to sell books personally, you can purchase the award seals to put on the cover. The Nautilus ones look especially nice and add a certain “je ne sais quoi” to the book. Goodreads: My publisher gave me books for three giveaways on Goodreads. I set up the giveaways, shipped books around the world, and paid for shipment. They also give me promotional books for $3 each, which I keep sending all over the place. Otherwise I pay 50% of the retail price for books I might wish to sell myself or give to boutiques to sell, for which the stores pay me 60%. (Many writers buy lots of books at this percentage to then sell at workshops they present. But alas, I am not and do not wish to be a workshop leader or public speaker.) As you might be concluding, being self-published holds the possibility of a lot more income than you might receive if you had a publisher. Another word about Goodreads: I’m not sure how effective it is for publicizing books that are not romance or mysteries or written by well-known authors. Still, a giveaway gets your title in front of thousands of readers, and it’s immensely satisfying to see that 1,832 people have entered the contest to receive your free book. Distribution: No, you can’t just leave this up to the publisher. Our distributor is now Ingram Publisher Services, and they’re good. But two not-so-good distributors before them made errors that hurt my book launch and resulted in minimal Barnes & Noble preorders. For example, no Barnes & Noble stores in Northern California were carrying it until I went there and met with booksellers, and they then ordered it. When I visited stores that already had my book, I asked if they would like me to sign it. 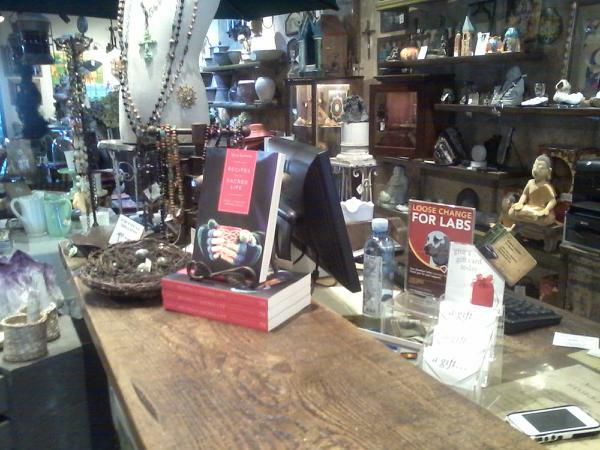 Everyone responded positively, and they often then placed my book on a display table or face-forward in the shelves. I went to other stores, including gift shops, and they now order a dozen from the distributor regularly, especially around holidays. I stop by when I can to sign copies. But I received some sad feedback from a small store in LA: People look at the book and then use their phones to order from Amazon. These stores can’t afford to order and stock; space is limited. I did consignments with a few, but this can be an accounting challenge, so I stopped doing it.